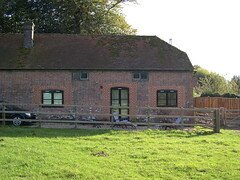 We carried out a barn conversion changing the old pig shed into a grooms cottage. ABD Construction can supply a full design and build service for any New Build requirements, producing a project designed exactly to our client’s needs and aspirations. We are experienced in all aspects of New Build construction from planning to foundations, drainage systems, brickwork, plastering, roofing, windows, electrics, plumbing, kitchen and bathroom installation & complete heating systems including renewable energy services. We offer a brickwork only service or a total new build from planning to completion.